The coming holiday season can be a minefield of emotions when you are grieving. The little routines you used to share with your pet to mark the change of seasons or just your habit of buying a gift or two for your pet can bring on additional feelings of loss. Don't try to suppress your feelings or let someone tell you to "get over it". Grief is work and you must do this work in order to come though on the "other side of grief" with your own unique perspective on how to deal with the loss. As far as the holidays go, see if you can redirect your efforts into something that could only happen now that you have the time/energy/resources to do it. Gather items needed by a shelter in honor of your pet. Do something as simple as watching a neighbor's pet so that they can make holiday preparations without worrying about their pet. See if a shelter needs "workers" to replace volunteers who may miss their normal duties because of additional demands on their time during the holidays. Take a moment to find a picture or recall a memory of your football watching pal or your tree "undecorator" and know that only because you were privileged to have such precious memories are you now the owner of such deep and painful loss. When a toy goes unplayed with or a dish is not filled, let the tears flow. These reminders of all the playtimes and mealtimes that brought you close together may cause you sorrow but know that you are not alone in this sadness as it is a normal part of grief that all loving pet owners endure. If this is your first holiday season without your pet, give yourself the room to do a little less. Maybe skip sending holiday greetings or decorating so that you limit the amount of extra work and stress. Be kind to yourself with a little nap or possibly visit a friend who is sympathetic to the magnitude of your loss. share a favorite beverage and really listen to what they tell you about their pet and how they are feeling. Just listening is a tremendous gift that costs you nothing but your time and can be an important and meaningful way to let your friend progress on their grief journey. Each chapter of our life has its joys and sorrows. Only you know which chapter you are living. Soon, you will be able to turn the page. When you need to be with your pet throughout the entire cremation process, CCPC can accommodate your wishes. This type of cremation allows you to be present while your companion is cremated and you are able to witness as much of or as little of the process as you desire. 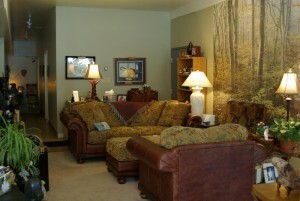 Some find comfort in just sitting in the comfortable living room while others are interested in each aspect of the process. I will explain each activity and invite your questions or observations. . Every family grieves the loss of their pet in their own way. For some, this completes the circle of care that began the day they brought the pet into their family. There is no one correct way to say goodbye. 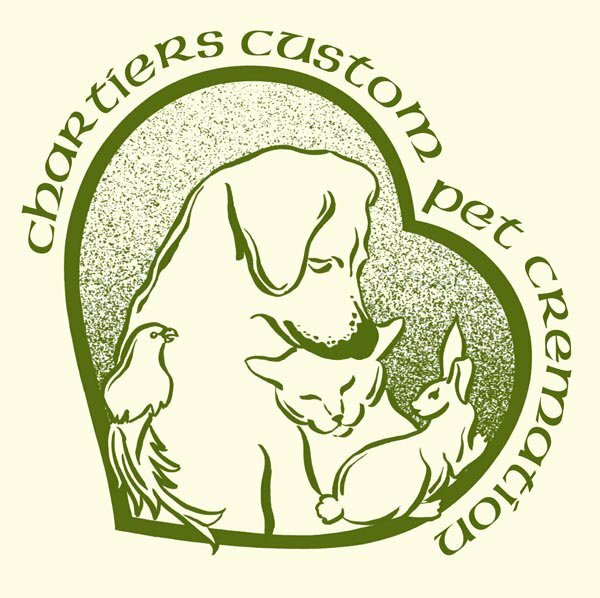 Chartiers Custom Pet Cremation offers each family multiple alternatives to best meets your needs. The attended cremation may provide your best way to say one final farewell to your beloved companion. 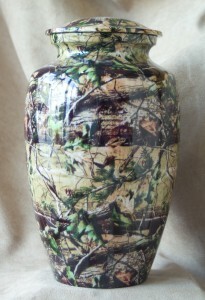 Perfect for the outdoorsman's pet, this classic camouflage urn features a camo pattern. The colorful design is reminiscent of days spent in the fields or forest with your beloved companion. Measuring 6” X 10”, this threaded lid urn provides a secure closure and can hold cremains for a dog weighing up to 180 pounds. please call Deb at 412-220-7800 .